Bring us a writen quotation from any competitor who is an authorized dealer, and we will meet or beat their prices guaranteed! 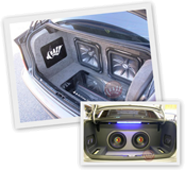 This ensures you will get the best prices anywhere, along with the best customer service experience for which Crazy Stereo has become known for in Orange County. Quote prices are subject to verification.